Have you found yourself counting down the days until spring? Luckily, there are only a few days left until spring! This means that you need to get started on your spring cleaning if you haven’t already started. This rings especially true if the only thing that fits in your garage is your car. Now is the time to clear out the clutter and get organized. You’ll be sure to enjoy your new and improved garage with these handy tips for organizing your garage this spring. 3 plastic bins – One for plastic, one for metal, and one for glass containers. Wire basket for newspaper – Don’t forget bundling twine. Mobile Platform – Use as a base for your bins and basket. It’s a plus that you’ll be able to move it around. Hang your tools on the wall and trace around them lightly in pencil. Remove your tools from the wall. Go over the pencil lines using more visible markers or paint pens. Try to use black for the most visibility. With all the loose items rolling around your garage floor, wouldn’t it be nice to be able to hang them up? Now you can if you utilize the support posts in your garage. Try installing steel hooks to the posts on both sides to hang up bicycles or any other items that seem to always be laying on the ground. However, if you don’t have any free posts in your garage, you could always consider ceiling-mount hooks. Either way you go, you’ll be able to hang up those items that always seem to be in the way. This tip goes hand in hand with the previous tip: hanging it up. If you have various sports equipment with no home, it’s time to think about stowing it away. Try taking a storage chest and using it as a convenient place for your dirty shoes. In addition, add three metal bins to the inside of the storage chest to keep sports equipment organized. To take it a step further, you could designate a bin for each family member or season. Interested in completely organizing your garage just in time for spring? Contact Superior Overhead Doors of Murfreesboro today so that we can help with all of your garage needs. Garage doors come in various shapes, sizes, and styles. The items they protect vary from homeowner to homeowner as well. Most use their garage for storage of vehicles, their workbench, and their various items. We at Superior Overhead Doors believe that garages can be used for just about anything, including man-caves. Don’t have any extra space in the house to convert a room into this sacred area? With a few budget items, you can cheer for your favorite team in your garage without disturbing the rest of the family when your team scores a touchdown! Remember, we are talking budget prices here, but you can always spend more if your budget allows. The most important item(s) to any man-cave is a TV, or multiple TVs. The older box/tube TVs can be great for those on a budget. If you scroll through Craigslist or similar sites you can often get these for $20 or less, often free. You can place four of them side-by-side, with game systems on two and live games on the other. This will please you and your guests while spending very little, if anything. Used couches, chairs, tables, and bargain furniture would be perfect additions to your man-cave. Search through Facebook or other social media platforms to see if friends and family are trying to part ways with their furniture. Again, scroll through Craigslist and you may find some hidden gems for cheap that would fit perfectly with the box TVs you already picked up. If you can’t find couches for cheap, consider camping chairs. They are cheap, comfy, and include a cup holder that will be valued on game day. If you are a football fan, you may have to brave the winter months out in the man-cave. With a few space heaters, you will be able to heat your garage efficiently and affordably. Place two in the center of the room 15 minutes before game time, and you and your guests will be enjoying kickoff in a comfortable environment. If you can find a bar/table for cheap on resale sites, add that to your man-cave. Whether you are serving sodas or adult beverages, it will help give your garage that man-cave feel. If you can’t find an actual bar, consider building your own small bar, or purchasing a table and treating it as such. Buy a mini-fridge to complement the table in an accessible location and you will never miss a play to get a refill. Nothing says man-cave like wall flags and pennants. If you scroll through Craigslist or eBay, you can get incredible deals on sports decorations. On eBay, you can find 3’x5’ flags for $5-$20 depending on the seller. Add a couple of those to the walls and you’re room will be decked out in your favorite colors for a reasonable price. If you get camping chairs for furniture, consider getting your favorite team’s branded chairs to impress your guests and let them know which team they must cheer for upon entry. No garage man-cave is complete without the perfect garage door. If you’re hosting friends and family for the big game or for a movie night, you don’t want your old, broken down garage door to let heat out or distract from the ambiance of the room! When you need a brand new garage door, you know where to find the largest selection of doors in all of Murfreesboro, TN — Superior Overhead Doors. A man-cave is every guy’s dream, and with a few smart purchases, you could convert your garage into a sports safe haven. You can even surprise your fans by opening your new garage door to your newly furnished man-cave. Research prices, decorate appropriately, and sit back by 6:59 so you don’t miss the 7 o’clock games. Interested in investing in a new front door to your newly designed man-cave? Contact Superior Overhead Doors of Murfreesboro for your garage door needs! Commonly, the garage is used for either parking the car or storing household items. However, there’s so much you can do with your garage! Try turning your garage into one of these functional options. Looking for a place for your friends and family to hang out and have a little friendly competition? Turn your spacious garage into a game room! 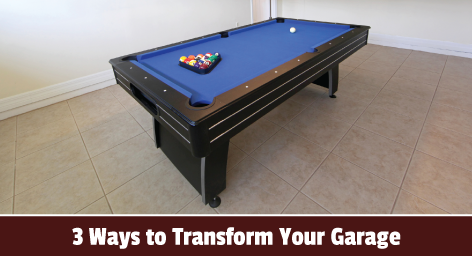 Adding a billiards table, a place for the latest gaming systems and entertainment options, and whatever game options you desire, will turn your garage from boring to exciting in no time. Gyms around the Middle Tennessee area can get expensive. Instead of spending money on a monthly gym membership, install cardio and weight machines in your garage along with free weights. To capitalize on your in-home gym, be sure to remodel the inside of your garage to best suit your exercise needs and goals. For instance, you can add mirrors along one wall of your garage. These mirrors will help you work on your form and visualize your health and fitness progress! If you constantly have guests staying over at your home for extended periods of time, you can transform your garage into a spacious guest room. When renovating your garage choose flooring and other materials that are designed keep heat in, and choose interior design trends that make your garage appear larger than reality. When you’re transforming your garage into a brand new room, keep in mind that the type of garage door you choose will have an affect on the atmosphere and design of your room. Superior Overhead Doors offers a wide variety of garage door styles, brands and products for you to use. Contact us to learn more about our garage door selection and to start transforming your garage today. When you are in the market for a new garage door, it is important to do your research. Unfortunately, there are multiple myths circulating about garage door operations, brands and repair techniques. During your garage door research, have you come across the following myths? If so, don’t believe them! This statement is generically correct, as all garage doors protect your home and belongings. On the other hand, each type and brand of garage door offers unique features and benefits for your home. When looking for a new garage door, seek out advice from a professional garage door technician. These experts know the pros and cons of each garage door style and brand, and will have all the answers you need! Have you ever successfully repaired a heavily damaged garage door and operational system? If your answer is no, step away from the garage door. Garage door repairs can be incredibly dangerous if you do not have the necessary experience. Repairing a garage door requires an elite amount of knowledge and experience. Garage door technicians are highly specialized and thoroughly understand the complex nature of each garage door. They not only know how to properly fix your garage door, they are able to do it in a timely manner. When in doubt, call your local garage door company to take care of your repair needs. This myth is wrong on so many levels! Just like any home appliance or piece of equipment, your garage door will need regular maintenance and inspections in order to operate properly. It is in your best interest to ensure that your garage door operates perfectly all year round. Superior Overhead Doors is Middle Tennessee’s choice for garage door repairs, replacement and additional services. 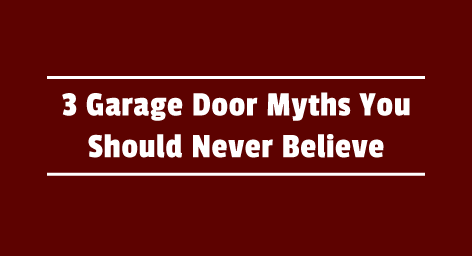 Instead of believing these myths, contact our professional garage door technicians today! Entertain Your Family and Friends With a Garage Party! Did you know that garages can be used for activities other than storing old items and a place for your vehicle? In fact, garage parties with family and friends are all the rage! All you have to do is clean and organize your garage, set it up for your party and you’re all set to go. Why Should I Host A Garage Party? Everyone loves a fun party! But parties in your living room, kitchen or patio can get old after a while. When you choose to host the party in your garage, you’ll notice just how much fun your family and friends are having. Garages are spacious and offer room for dancing, games, hanging out with friends, catering opportunities and so much more. Plus, with all that space, you’ll have enough room to put up as many decorations as you want! For instance, try hosting your next Halloween party in the garage and turn it into a haunted house with all the space you have for decorations. In order to host an exciting garage party, you’ll first need to decide whether or not you want your garage door to be open or closed. Depending on the season, having the garage door open will expand the party to the driveway and add a nice breeze. If your party is in the winter, be sure to close the garage door and add any space heaters if necessary. Remember to have plenty of food for your guests to enjoy. Whether you choose to have your event assisted by a professional catering company or supply the food yourself, the food options will be a prime focus of your party! Don’t forget to add music too. Try and find a type of music that adds to the ambiance of the party and doesn’t distract your guests. Is your garage door damaged or beyond repair? You can’t throw a garage party with an old and dirty garage door. Let Superior Overhead Doors replace or repair your garage door so you can host an awesome garage party! Should You Have a Unique Garage Door Design? Many homeowners bypass thinking about their garage door. But did you know that a unique garage door design can actually improve the value of your home in the long run? Those looking to buy a home are beginning to take the quality and design of a garage door into consideration prior to putting an offer down on a home. 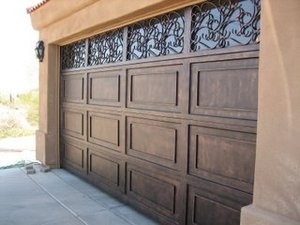 If your garage door looks like it barely survived a storm or was created back in the ancient times, perhaps it is time to completely replace your current door with a unique and stunning garage door design. If your home has had the same exact garage door and design since the original owners moved in, you absolutely need to update your garage door. Many homeowners are choosing a modern appearance to not only protect their home from weather elements and store their vehicles, but also attract potential homebuyers. Did you know that you can have a gorgeous, rustic looking garage door, and have the superior quality of a new garage door? This garage door design by Amarr does exactly that. Your home and items will be protected and your garage door appearance will be absolutely jaw dropping. In addition to rustic, classic and modern designs, you can try adding a completely unique design to your garage door. Whether you opt for a garage door art appearance, or a contemporary and sharp look such as this design by Amarr, your garage door will be drawing in potential homebuyers from all over. If you’d like to add any of these unique garage door designs to your Murfreesboro home, give the professionals at Superior Overhead Doors a call! We can help you install, replace and even repair your garage door. Contact us today by calling 615.394.6670. Although the leaves are slowly changing and the temperatures are slowly but surely dropping, the cold weather is unfortunately on the way. While you still have some time before it gets too chilly, be sure to take this time to understand how the incoming cold weather can affect the functionality of your garage door. During the wintertime and bouts of cold weather, your garage door motor has to work harder to open your garage door. Because of this struggle, it is always best to make sure that all parts of your garage door are functioning properly. Remember to check or replace the batteries in your garage door opener. If it is sending a weak signal to your garage door opening system, in combination with the cold weather, you may be in a bit of a situation. If you are not comfortable checking your garage door yourself, you can always call Superior Overhead Doors. Our technicians will be glad to inspect your garage door, from top to bottom. As you know, the garage door sensors are a crucial part of your garage door system. If these sensors have a fog or bit of condensation on them, they will not operate properly. 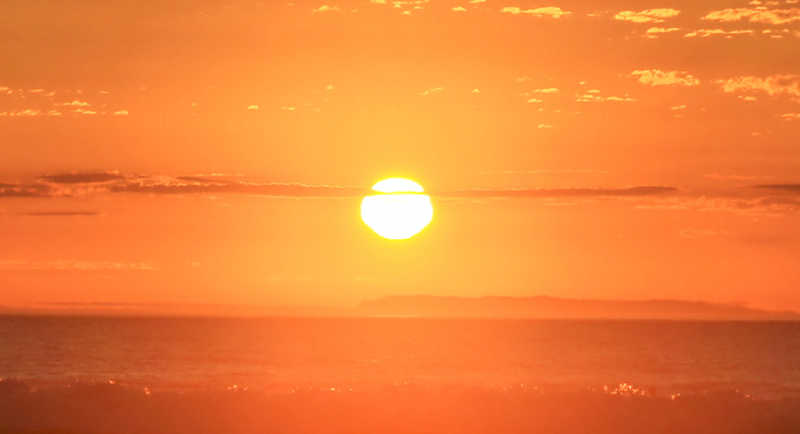 Be sure to clear off any fog or condensation using a soft cloth. In addition, if you have shovels, snow gear or any other items in the path of the sensor, remove these items immediately. A blocked sensor will compromise the integrity and functionality of your garage door and opening system. Your garage door system uses a specific type of oil to help open and close the garage door smoothly. However, when the temperature drops and the oil begins to thicken, you have a problem on your hands. You can either adjust the settings on your garage door system to use more power, purchase lubricant to assist the system, or trust a garage door technician to do both of those services for you! The garage door technicians at Superior Overhead Doors can assist you with all of your garage door needs during the cold weather. Contact us today for more information!